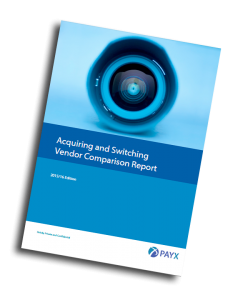 Presented in one 160 page publication, the 7th annual edition, this report clearly delivers the results of an in-depth analysis by a team of industry expert practitioners (not academics or researchers) on the top 21 payments software products for switching, acquiring and front ending. An enlightening insight into the Products and the Vendors, presenting substantiated conclusions from RFP responses from the vendors themselves, real reference experiences from customers and input from consultants who have worked on the systems. The report examines the products and vendors from three perspectives; Corporate, Product and Customer Experience. It uniquely defines 17 key metrics and objectively measures each product & vendor against these metrics. The report concludes with a side by side comparison of all key metrics clearly showing the profiles comparative merits. Today’s payments ecosystem is moving fast and all organisations need future capable payments infrastructure to deliver on business objectives. These infrastructures are complex and hard to manoeuvre, so choice of the right system and roadmap is critical to payments organisations foundational future. This report delivers objective analysis that can be used and presented in any selection process and business case. It is an insurance policy against the wrong decisions for the future. The most recent report also includes new Issuer and expanded Mobile sections, a view on emerging trends and vendors, and updates on mergers & acquisitions. The report gives customers a rare opportunity by experts to have a cross-industry view of the top product vendors in the world. At PayX we are practitioners working with real operational payments systems around the world every day, so we have experienced many situations enabling us to deliver to very specific questions and topics. We deliver our Market Analyst service and we have structured our unique PayX-DPE™ processes used repeatedly to deliver focused high value quick results. Click here to contact us to discuss how we can assist, you will be surprised at the extent of our capabilities.